Have you ever been in a slump? Sometimes it’s easy to feel like life is just riding out brief periods of victory from one slump to the next, instead of going from “glory to glory.” I’ve been there. I may or may not be there when you’re reading this. 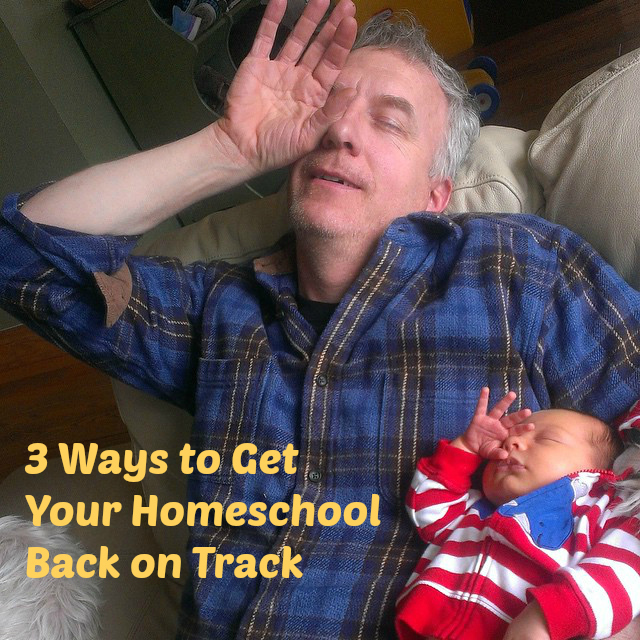 I’m going to talk about three ways to get your homeschool week back on track. Now, for a rapid subject change, when do you want your children– adopted or not, autistic or not– to come to you when they’re struggling or need guidance? Just when they can get their lives or day together? I don’t know about you, but few things melt my heart to empathy like a little voice proclaiming in the midst of a difficult, whiny day, the plaintive and desperate words: “I’m having a hard time!” We want our kids to be able to come to us whenever they are struggling– why? Because we love them! They’re our kids! “Because you are his sons, God sent the Spirit of his Son into our hearts, the Spirit who calls out, “Abba, Father.” So you are no longer a slave, but God’s child; and since you are his child, God has made you also an heir. I used to be slightly uneasy about Christmas or birthdays and the idea of certain days being more special because of this passage. But aside from the very valid observation that Paul has a problem with the Galatians legalism, I’d like to consider one other reason this passage is very relevant to us today. Sometimes, we save dealing with unpleasant things for special days. School week falling apart? Wait for a Monday! Feel far from God? Wait until Sunday! Need to spend time reconnecting with family? Wait for Christmas! We wait instead of acting, when it is in our power to act. And this passage goes on to talk about maybe some of the reason we’re putting things off or letting things go. Have we been zealous for the right things? Is the purpose “good?” Or have we been led astray by misguided goals and zeal? Has it fizzled out? Or burned us out? There is only one Consuming Fire that can also sustain. I was recently listening to a podcast about reading aloud to children and the interviewee mentioned that in the 1980s when she began homeschooling, a great focus was on character development. She has seen, in her homeschool career, a great shift to academic development. The woman speaking did not consider academics unimportant– just of secondary importance. Spending time with beautiful things and directing the heart were the primary works. 1. Do it now. Don’t wait to want to. Don’t wait for a special day of artificial importance to rally yourself. I’m always tempted, school-wise, to wait for a Monday or wait until tomorrow or wait until…to pull ourselves together and focus. Don’t wait for that magical day when you can get everything done in order. Take stock of your day and commit to doing one thing at a time until you’ve made some progress, even if it feels messy and less ideal. Read a book even if you’re interrupted twenty times– just keep answering questions and getting back to it. Do a math page even if it takes five sessions of jumping jacks. Clear a corner off the table and do the science experiment without waiting for the kitchen to be pristine and ready. 2. Call to your Father. Same deal– don’t wait! Don’t put it off for when all the kids are in bed or the house is quiet or you’re at church in a prayer room. Stand at the kitchen sink and give God your day; let the shower run on your back an extra minute and praise Him for the work He’s given you. Ask Him to work in your head and heart, to give you clear vision. What are you zealous for? Perfect children? A manicured schedule? A spotless house? Or for teaching your children up in the way we should go? For schooling in your own fields of enthusiasm instead of what your friend is doing? Repent of any misguided priorities and take the time to pay attention to character and life skills, to scripture and the way those in your household treat each other and talk to one another. This is a long-haul ride, but far more important than neatly formed “H’s” and well-crossed “t’s”. 3. Stay at home. This one is tough when you have commitments. I’m not encouraging you to become a hermit or a slacker, but if you know things are out of control or things have fallen apart a bit, skip some optional things (and you might be surprised what’s optional). Put off the midday trip to the grocery store so you aren’t rushing. Can renewing books online let you postpone the library this one time? This isn’t forever. It’s just for today. 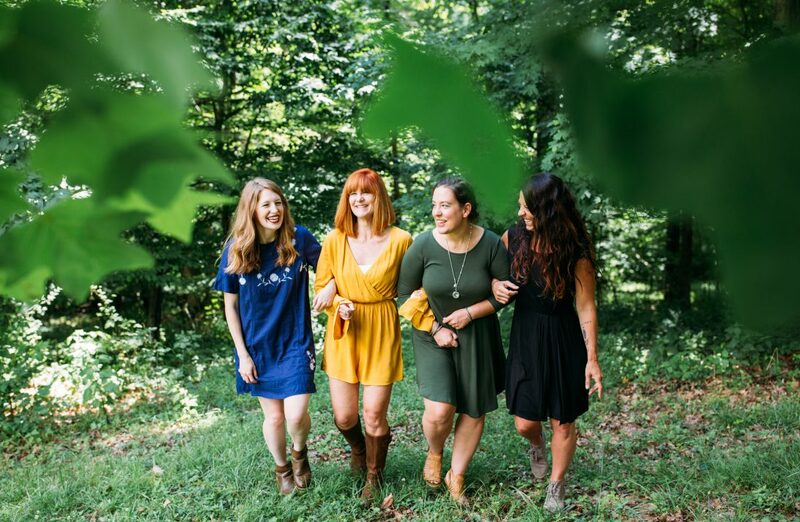 If you need community and encouragement, then find a time to be intentional about calling or meeting with a friend in the evening or during a break, that’s okay– but for the day, for a bit, stay at home from one thing and give yourself a breather. Are you overbooked? Take a little time and think about what the core of your homeschool life needs to be and see if you’re really doing that during the day. If you’re avoiding it, then why? Take a little time to think it through and figure out your game plan. This isn’t a post to condemn or heap guilt or legalistic rules. I’m in this same position right now, taking the time to focus on character, to focus on our core subjects, to stop waiting for the perfect day with our perfect house to follow our schedule. These are things I’ve been mulling over and trying to put into practice in my own home. We live in a society that places a great emphasis on “achievement” and “socialization,” which often means homeschoolers stay super busy trying to prove to themselves and everyone around them that their kids are both academically successful and socialized. We can look at and compare curriculums, we can sign up for a handful of activities, and a lot of the time those are good things. But sometimes our zeal for academics or activities gets out of hand and we find ourselves zealous for something…not so fulfilling. Not so good. Not so eternal. And then we find ourselves falling off track because our track is so grueling or dry or bitter or empty or chaotic. But when we take the time to refocus: Why are we doing this? What are we doing? And we take the time right now to do that, instead of waiting waiting waiting waiting for the “right day,” then we can get back on track– not to feeling successful right away, not to keeping up with those around us, but “on track” to meaningful, really purposeful living and schooling. And in that, we find the joy of living to glorify Him– not in new curriculum, not in spontaneous off-days, not in trophies or participation ribbons. Those all have their place. But their place is not the front and center of our homes and hearts. Will you join me back on the track today? Right now? We’re so sorry! There was a publishing error and the correct link is now on Facebook!